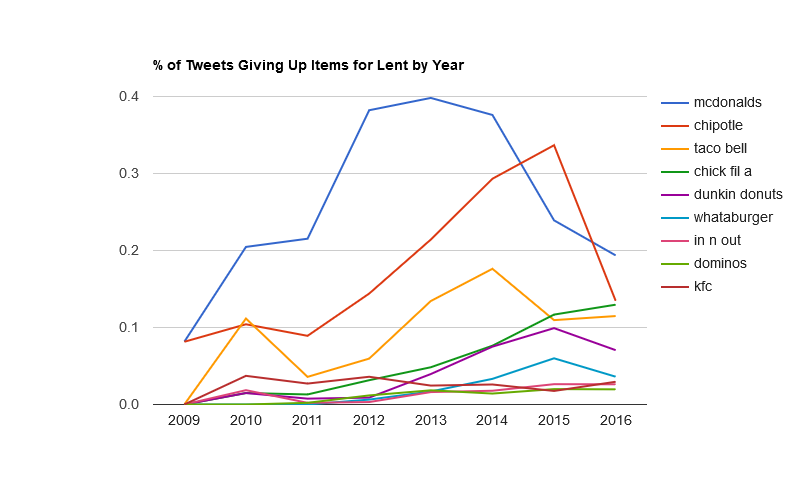 See the top 100 things people are giving up in 2016 for Lent on Twitter, continually updated until February 13, 2016. 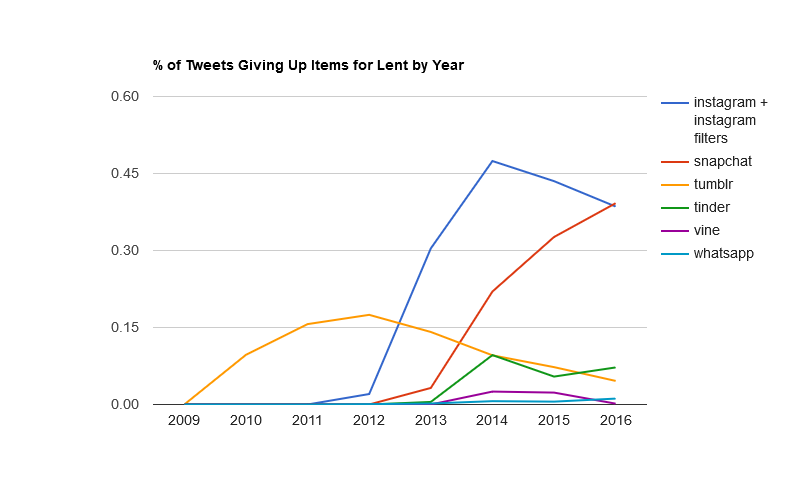 You can also use the Historical Lent Tracker to see trends since 2009, though 2016 is still in flux, so I wouldn’t draw any conclusions about 2016 yet. As I write this post, with about 2,000 tweets analyzed, perennial favorites “chocolate,” “alcohol,” and “social networking” lead the list. 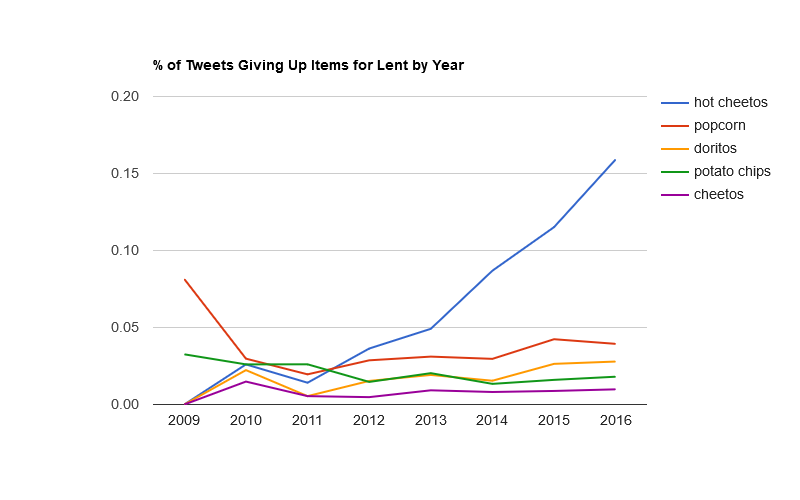 Currently, “cruelty” is #6, reflecting a campaign by PETA UK asking Christians to go vegan for Lent. 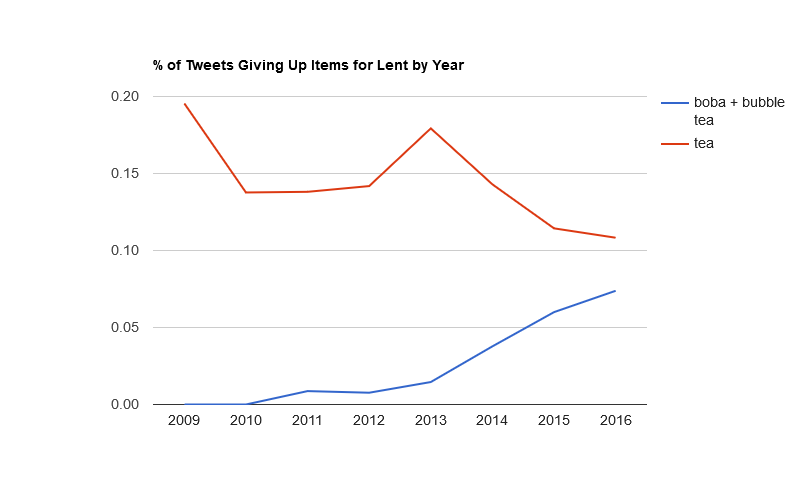 With the New Hampshire primaries on Tuesday and several U.S. presidential candidates likely to withdraw from the race, I’m expecting jokes about how the candidates are giving up their presidential aspirations for Lent. Look for the usual post-mortem on February 13, 2016. You are currently browsing the OpenBible.info Blog blog archives for February, 2016.